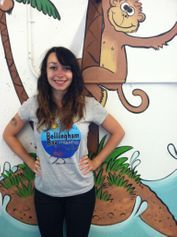 Jill has been the owner/director of Bellingham Bay Gymnastics & Pre-School since it opened its doors back in October of 1994. Previous to BBG&P she completed a biology degree and teaching certificate at Washington State University and went on to teach Junior High Science for 6 years in Port Orchard, WA. Next she completed her Masters of Education in Exercise Science at Western Washington University and has been donkey kicking and monkey jumping here at the gym ever since! She is also the mom of a college sophomore who attends the University of Cal Poly. 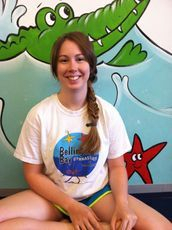 Jacquie has been the preschool teacher at Bellingham Bay Gymnastics since 2007. She is a certified teacher in the state of Washington. Jacquie has a BA in Education, Birth-5 certification, and endorsements in Spanish and Physical Education. She is an advocate for positive reinforcement and discipline while creating an environment where children can be comfortable and confident. She is also a mom of two children, ages 14 and 16. Ricole has been cartwheeling around BBGym since 2013. After completing her BA in Marketing from Western Washington University in 2015, she just couldn't leave! She now directs all grade school gymnastics programs- including BBGym's Demonstration Team, The Orcas. You can find her in the gym, as well as in the classroom, teaching in BBGym's afternoon Pre-School. Her free time is devoted to rock climbing and the outdoors! There isn't a weekend where you can't find her in the mountains! 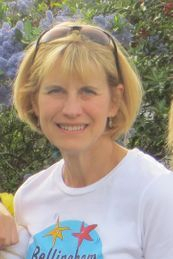 Becky began at BBGym in 2013. She has been working in early childhood education since 2010, and has professional experience with ages 0-12. 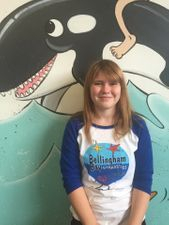 She is licensed through the WA Department for Early Learning and graduated from Western Washington University in 2014 with a BA in Theatre Arts. She especially loves introducing an early excitement for science and math in the classroom. Ana has worked at BBGym since 2016. She is a senior in high school, doing running start at Whatcom Community College. After she graduates she plans on joining the Air force. Ana's back ground in gymnastics includes 8 1/2 years competitive experience. At home, she has two bunnies- Penguin and Finn.